Outdoor kitchens often open up a whole new use for your outdoor living area, changing the outdoors from where your kids play to where the family hangs out. As with indoor kitchens, outdoor kitchens are often the family gathering place for conversation and spending time together. With an outdoor kitchen, the family and friends can gather in a comfortable, social environment while the cook grills dinner. One of the most popular of all outdoor upgrades, the outdoor kitchen is one of the best returns on investment in landscaping. And designed with the cook in mind, the one isolated chef is now in the center of the new entertainment area. Our design team can create a custom outdoor kitchen just for your needs and family size. Whether it is an island kitchen in the center of your backyard brick patio, or an outdoor room all of its own. We can combine the outdoor kitchen with other features such as an outdoor bar, seating area, or kitchen table. For the food enthusiasts, we even can upgrade the outdoor kitchen to include such amenities as a pizza oven, bread warmers, sinks with running water, storage drawers and cabinets. Adding electrical outlets for your kitchen items such as blenders, food processors, and other plug-in appliances is as easy as asking us to include them. And as long as we are adding power to your outdoor kitchen, let us add some lighting for even more enjoyable nighttime use. Outdoor kitchens are as unique and individualized as the families using them. We can design anything from a small, upscale replacement for the old Webber, to a large 3-sided outdoor gathering space with built in chairs, tables and countertops. Each custom built outdoor kitchen is tailor made to the client and the clients needs. 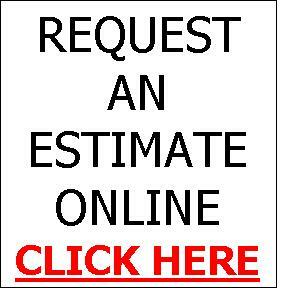 Call our design team today for an estimate. The centerpiece of the outdoor kitchen is often the stove or grill top. With many, many grill tops available, the options are only limited by your family’s needs. 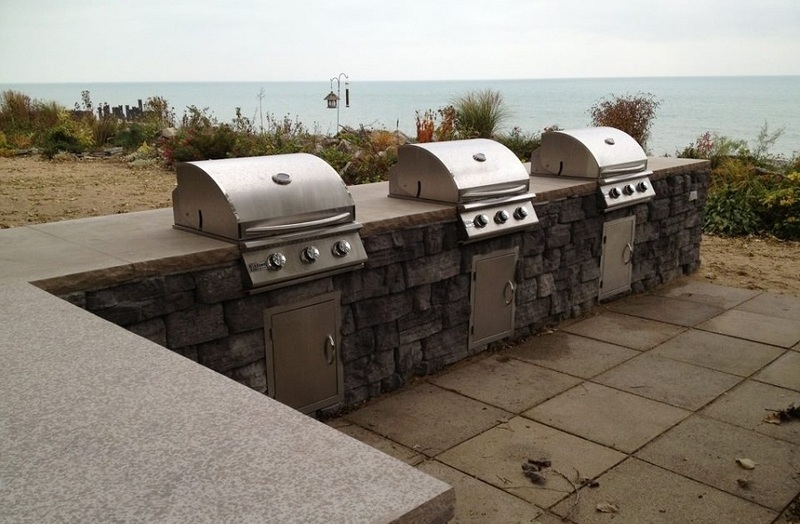 Here we offer a small example of the grill tops available for your new Suburban Landscaping outdoor kitchen. Many multi-family properties and office parks are also finding outdoor kitchen to be a resident and employee pleasing amenity. Large island, multiple grill tops, outdoor tables, and built-in cooler space are unique benefits to your complex or business. With the price of grill tops dropping every year, call for an estimate on a new outdoor kitchen your your home or property. 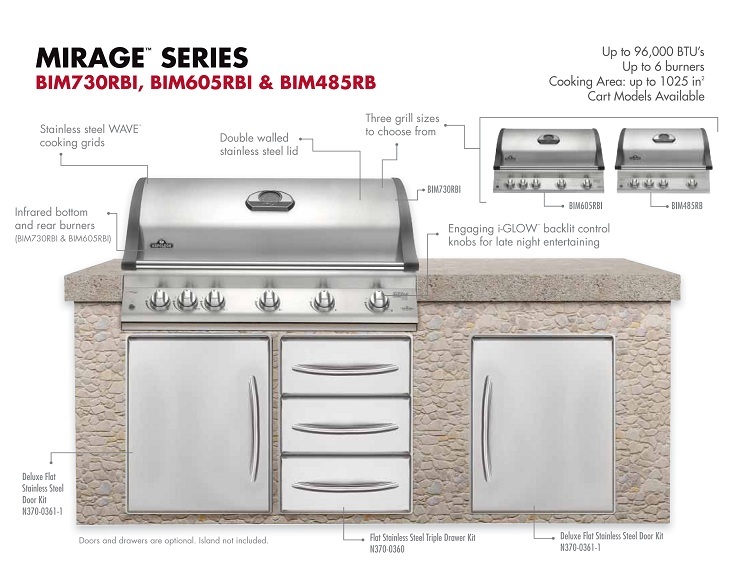 Sometimes, the full outdoor kitchen with drop-in grill tops is not in the budget. An affordable option to the new kitchen is to keep your old grill and build a new block surround to enclose it. A cost saving, but beautiful option that could make the difference between starting the project and finishing the project. On an average, outdoor kitchens have been coming down in price for several years now. With so many options, brick types, and amenities, prices for outdoor kitchens can still be all over the board, ranging from $3,000 to $10,000 and up. The best way to plan your new outdoor kitchen is to call for an estimate or request a quote online.